Are you challenged to create a website for a hairdressing salon and you have decided for WordPress? You will not regret this step if you will be aware of one key thing before the creation itself. For a beauty services, which with no doubt include hairdressing, the clear and highly elegant web design is important more than ever. Follow our tutorials and create a functional website with everything you need to do in no time. Why does a hairdresser need a website? Regarding hairdressing, the decision-making process is not a matter of a moment. Most women choose very carefully to whom they entrust their hair care. The Web becomes a showcase and an intermediary that can present all the services, employees, references and important information in one place. Thanks to the WordPress and a quality theme, you will be 100% sure that your hairdressing site will look and work on all devices irresistibly. All this without having great technical knowledge and experience. 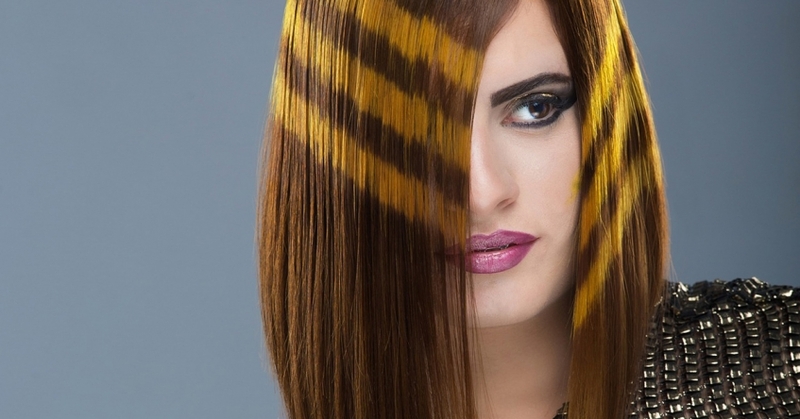 Do you know what information people will be looking for on a hairdressing site? Through the pre-created hairdressing page of the Ark theme, we bring you an overview of the basic elements you should never forget during the site creation. As you will see, you can tell the most important on only one page. Quality and professional hair care is not based only on shearing and hairstyles, but also on other services. Do not hesitate to present them in an attractive way directly on the web. The pre-created Ark theme page lets you show the services understandably and in an unprecedented way. A detailed description will appear below the name of the service after you move the mouse. An interesting effect saves space and is very practical. The site’s visitor is not overwhelmed with information and only reads what really interests her. Are women leaving a hairdresser with a great feeling of a new appearance? Do not be afraid to boast with references that are important to potential customers. You can display a large photo, name, additional information, and description within the reference. Forget one-line and insignificant references that are somewhere in the corner of the site. The Ark theme knows how important the positive responses are. Does the hairdresser win awards in the hairdresser’s contests? The elegant timeline on the web is an ideal way to show all successes and news to customers. Again, including large preview photos and accompanying text. But be careful! The preview may not be just one gallery, but a whole slideshow or video. Ark theme options are crafted to the last detail to offer breathtaking visual options of displaying different elements. When customers are satisfied, they return regularly to the same hairdresser. Simply show the entire team and other contact information, including Google Maps, and the effect button with the link via which you can make a call to a hairdresser with a single click when viewing from a mobile phone. You will hardly figure out the more practical contacts for a fast reservation. Once you know what the hairdresser’s website should have, you will need to choose a suitable and professional WordPress theme. With the right choice, creating a website becomes a piece of cake. To save time, work and money, choose a theme that offers a prepared look for a hairdressing together with all important elements. Just like the best rated Ark theme from us. After purchasing and installing the Ark theme, in the Demo Install option select a Demo called Hair Salon and click the Install Now button. In a minute, you have a modern and fully responsive hairdressing site in which you only exchange content. All the elements are perfectly in control. Do you need to change the logo? Edit colors to match the style you want? No problem. Theme controls and editing settings are infinitely intuitive. Thanks to these features, the Ark is among the best-rated WordPress themes on the market. It does not matter if you are a freelancer producing several client sites every year or a hairdresser who learn the WordPress step by step. In both cases, the Ark theme navigates you by the shortest way to the finished site. You use Fresh Builder to edit your site. A handy and, at first glance, easy-to-understand tool, with which you adjust everything promptly. Developing a WordPress site from the beginning is very easy thanks to the pre-created page in the Ark theme. If you need some advice, we are here for you. We will gladly create your site to look great.